HarmonySite is coming to Las Vegas! Mark Virtue, the creator of HarmonySite, will be attending the Men’s 2017 International Barbershop Convention in Las Vegas. He’ll be there from Sunday July 2nd to Sunday July 9th (inclusive). For those unfamiliar with HarmonySite, Mark will be running some introductory seminars, showing off what HarmonySite is and what it can do. Everyone is welcome. Even if you’re already familiar with HarmonySite, you are still welcome to attend. You may have some questions that you’d like answered, or you may simply like to meet the man behind the product. There will be two seminars: 3:00pm to 4:30pm on Wednesday July 5th, and 10:00am to 11:30am on Saturday July 8th. 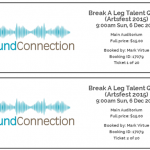 They are timed so as to not clash with any of the major scheduled events. The seminars will be held in the meeting room called “The Starting Gate”, First Floor, Ascot Tower, Jockey Club (hotel), which is at 3700 Las Vegas Boulevard South, across the road from Convention headquarters, Planet Hollywood. 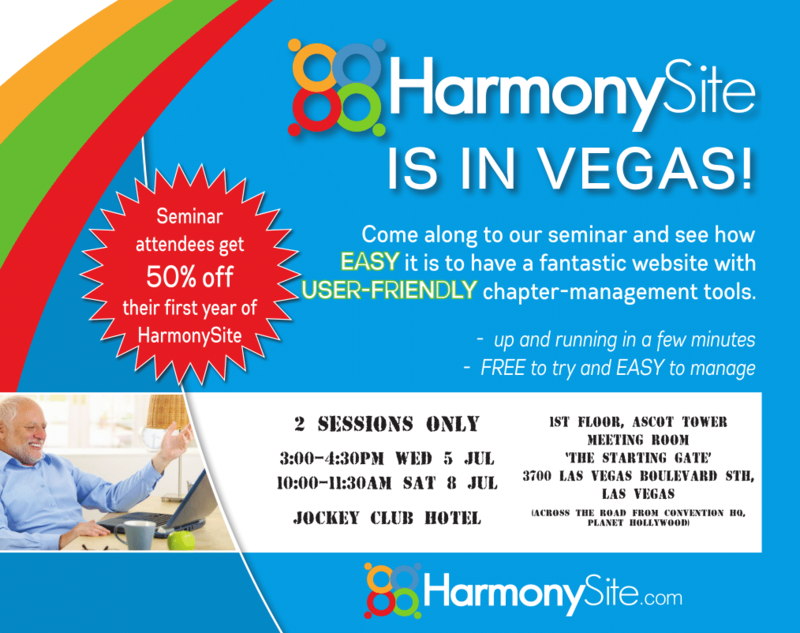 Attendees of the seminars get 50% off the first year of their chapter’s HarmonySite subscription, should they eventually sign up.